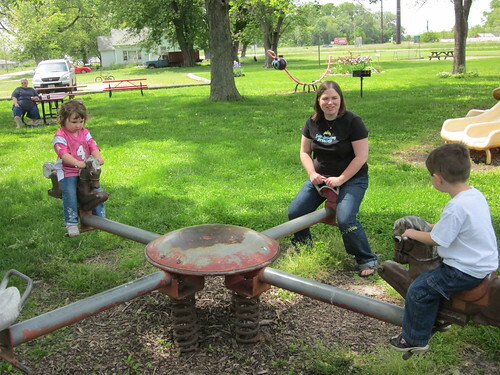 I came across this picture from last spring that shows my wife and my two oldest children playing together at the park on a beautiful spring day. These are the types of moments that make my life happy. This is a poem of sacrifice, but also of great reward. While follow eyes the steady keel, the vessel grim and daring; But O heart! heart! heart! O the bleeding drops of red, Where on the deck my Captain lies, Fallen cold and dead. This video does a great job of outlining the value of a smile in scientific terms. It has a multitude of benefits, both for you and for those around you. This quote sums up why I constantly encourage people to step up to the plate and take leadership in almost any situation. This is something I used to do as a child, taken to a wonderful artistic level. I absolutely love street art, except I don’t like the long-term destruction of private property. This seems to be a great way to execute the beauty of street art without damage. This just works on so many levels. Is there meaning there, buried in metaphors, or is the burying the meaning itself? I love it. Wisdom is the utilization of knowledge for good use. Without wisdom, knowledge isn’t really all that useful. This video sums up the most powerful way to grow. Each of the elements of this quote points to a problem many have with money. So true and so succinct. I love watching videos of people playing the piano on YouTube. They’re probably the most effective tool for getting me to actually practice. This is just a great example. Fantastic. I look forward to the day when I’m able to do that, and I can see myself slowly inching in that direction.